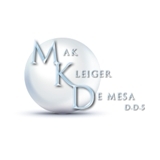 MKD Dentistry (Pasadena) - Book Appointment Online! Such a great experience! I hate going to the dentist, but Dr. Kleiger and his team made it as enjoyable as possible. Thank you! Dr. Mak was fantastic. He made me feel comfortable. He was very professional and thorough. He also did my teeth cleaning himself! Best teeth cleaning ever!